SOFIA SANCHEZ aka CHUFY is the perfect example of wearing a total look and still looking like yourself. The secret is that her personality is bigger than anything, she has an opinion about herself and we can see it through whatever she throws one herself. 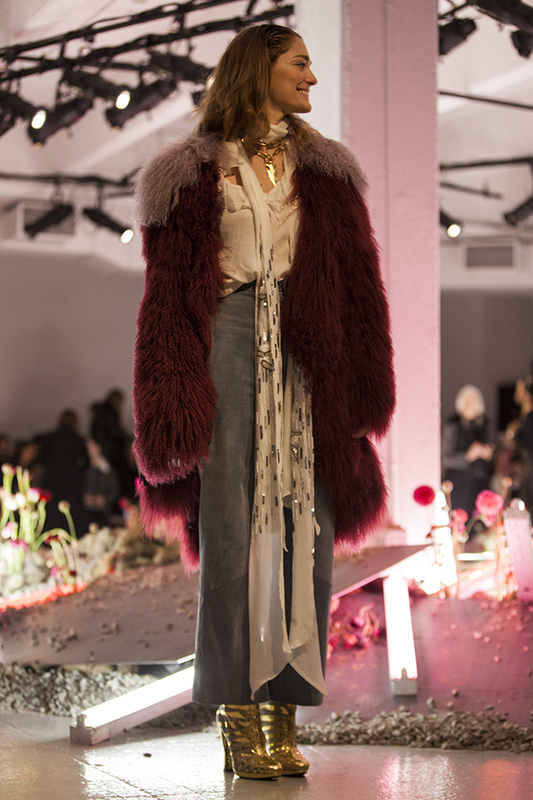 She is one of RODARTE´s muses and she carries the look to perfection. We love her. The Hollywood Insider, KIRSTEN DUNST looks impecable with this multi textured black dress. Alos a regular RODARTE fan , she is a major statement , specially when she is wearing black, she looks stunning. EVA CHEN , she is not wearing RODARTE but she looks great with her innovative association of textures and lengths, the black leather mini skirt, the black patent leather calf boots and the long coat, she is ahead. JUANITA BURGA , former RODARTE model also is looking great, with her GIVENCHY cuissards sandals, the lace stockings, STROKE cashmere dress and vest, and her CHLOÉ shearling coat. She looks mysterious yet stunning. 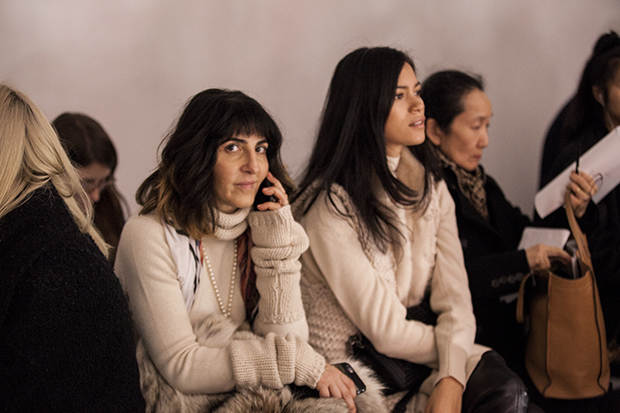 SOPHIE LEVY & JUANITA BURGA wearing STROKEWORLD , handmade cashmere, the BEIGE WORLD.